Need to find information for a report? Struggling with a homework assignment? Explore an online library resource or librarian recommended website! Not available for home access. Biography in Context offers authoritative reference content alongside magazine and journal articles, primary sources, audio podcasts, and images. Covering a vast array of people from historically significant figures to present-day newsmakers, it is continuously updated to ensure students have access to the latest information. With Britannica School, students can conduct research using thousands upon thousands of searchable encyclopedia and journal articles, images, videos, audios, curated primary sources with curriculum relevance, detailed maps, editor-recommended Web sites, learning games, a world atlas, and a wealth of how-to research tools. Choose from three learning entry points - Elementary, Middle, or High School - then select a reading level that matches each student’s ability. Pre-K - 2nd Grade - Activity-centered learning to explore, play, read, and build technology skills.Letters, numbers, geography, shapes and much more are included. CultureGrams provides concise, reliable, and up-to-date cultural information on hundreds of countries, as well as the U.S. states and Canadian Provinces. Each World Edition report is written by a native or long-term resident of the country, in coordination with a CultureGrams editor. The Kids Edition, States Edition, and Provinces Edition reports are written by CultureGrams editors but with extensive input from reviewers. Each report covers 25 categories, including history, religion, family, economy, gestures, current events and more. Explora for Middle Schools provides hundreds of magazines and reference books for middle school students. This resource includes thousands of biographies and primary source documents. Subjects include history, current events, science, sports, and biographies, as well as photos, maps, and flags. Explora for Primary Schools provides children’s magazines, easy-to-read encyclopedia entries, and images for elementary students. Children can learn about animals, musicians, fitness, space exploration, and much more. PebbleGo, the award winning PreK - 2 database for reading and research, includes database options for Animals, Earth and Space, and Biographies. PebbleGo Next is the next step for researchers ready to graduate from PebbleGo to more robust content. PebbleGo Next covers content appropriate to grades 3-6 curriculum content at a reading level geared to those students with built-in reading and research tools such as read-along audio and word-by-word highlighting. PebbleGo's initial module covers States and American Indian studies. World Book Online is a suite of online research tools that includes encyclopedia articles, primary source collections, educator tools, student activities, pictures, audio, and video, complemented by current periodicals and related Web sites. Modules includes Early World of Learning, World Book Kids, World Book Info Finder, World Book Reference Center, World Book Timelines, World eBook, and Enciclopedia Estudiantil Hallazgos. 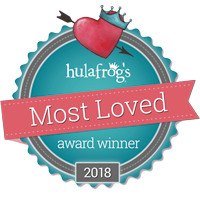 Check out their lists of the best books for children. Sorted by topic and reading level, here are lists of books organized by a team of teachers. Read hundreds of books online, or create your own! Kids' books, movies, video games and more are reviewed and rated for age-appropriate content. Explore this "library for the world's children." Read books online in more than twenty different languages! Love children's books? Love children's authors? This site is full of podcasts of children's authors talking about their favorite books for kids! "Blog" is short for "weblog," or an online interactive journal. This is a great blog about books and more for kids and teens. NoveList K-8 allows you to discover fiction titles that are popular with young readers as well as titles to use in the classroom. Use favorite book titles and authors to find additional books to read or use in the classroom. Wonder which books comes next in the series? Find out here! Listen to some of your favorite actors read children's books with this online streaming video program! This site has book reviews, recommendations, author interviews, biographies, and free book giveaways! BookFlix is an online literacy resource that pairs classic video storybooks from Weston Woods with related nonfiction eBooks from Scholastic to build a love of reading and learning. This engaging resource for children in grades PreK-3 will help early readers develop and practice essential reading skills and introduces students to a world of knowledge and exploration. Beginning reader-friendly fiction and nonfiction books you can read online - for school and for fun. Picture books, homework topics, languages learning. Online help is available too. 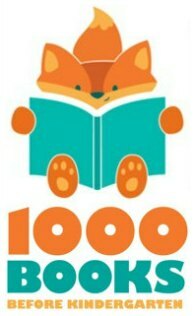 With an Orion Library card, Orion residents can instantly stream or download thousands of audiobook, comic book, ebook, movie, television, and music titles to their computer or compatible mobile device. Beginning on January 1, 2019, Hoopla checkout limits will be reduced to up to 6 titles per month. OverDrive for Kids, or Kids' eReading Room, shows only kids’ content. No adult content will appear in the search results. All titles in the eReading Room are also cataloged by reading level, AT scores and other reading metrics to help parents and teachers select titles to aid in literacy campaigns. All titles can be sampled in OverDrive Read prior to borrowing or placing a hold. (Grades 6 - 12) TeenBookCloud (formerly TumbleBookCloud) is an online collection of eBooks and read-along chapter books, graphic novels, educational videos, and audiobooks! All books are available with unlimited access, all the time, from any device with an internet connection. An online resource that leverages the award-winning True Books content to help students hone literacy skills, build knowledge of subject-area content, and cultivate 21st Century Skills through the inquiry process. All of the True Book titles are supported with a deep and diverse reservoir of related content and primary sources featuring videos, audio, images, and text. (Grades K - 5) TumbleBooks is an online collection of animated, talking picture books which teach kids the joy of reading in a format they'll love. TumbleBooks are created by adding animation, sound, music and narration to existing picture books in order to produce an electronic picture book which kids can read, or have read to them. World eBook by World Book includes highly illustrated, engaging titles that support a span of curriculum areas and reading levels. 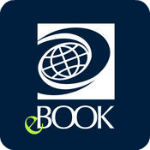 World Book eBooks are always available with no holds required and can be read in World Book’s customized online viewer or downloaded to supported mobile devices.